Product categories of High Temperature Resistant Custom Cable, we are specialized manufacturers from China, High Temperature Resistant Custom Cable, High Temperature Resistant Cables suppliers/factory, wholesale high-quality products of Fire Resistant Cables R & D and manufacturing, we have the perfect after-sales service and technical support. Look forward to your cooperation! Special cables are special-purpose cables that can be used in specific applications, such as high temperature resistance, acid and alkali resistance, termite resistance, and wire and cable used in ship nuclear power plants. As far as classification is concerned, it does not belong to the same classification method as power, control, computer cable, etc., that is, the above cable also contains special cables. Generally, Special Cable needs to establish internal control standards. Special cables are cables that have special applications and can be used in specific applications, such as high temperature resistance, acid and alkali resistance, termite prevention, and wire and cable used in ship nuclear power plants. 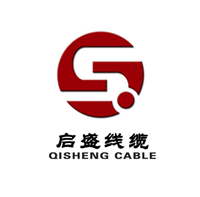 As far as classification is concerned, it does not belong to the same classification method as power, control, computer cable, etc., that is, the above cable also contains special cables. Generally, special cable needs to establish internal control standards. Special cable is a series of products with unique performance and special structure. Compared with ordinary wire and cable with a large amount of coverage, it has high technical content, strict use conditions, small batch size and high added value. New materials, new structures, new processes and new design calculations are often used.